My youngest son Dáire got his Leaving Certificate results last week and his CAO letter for a third level college placement on Monday. My visit last Wednesday with Cepta and our son to the Jes (Coláiste Iognáid) to collect his examinations letter ended a family involvement with Galway schools going back twenty two years. So I am happy to report that this chapter in our lives ended on a high note: Dáire got the examination marks he needed in order to met the requirements for bio-medical science. Cepta and myself count ourselves privileged and exceptionally lucky that Dáire and Shane have done us and themselves proud. Throughout their childhood they worked hard in their studies, were fortunate to have a few really good loyal friends, had some interesting hobbies, played their preferred sports, and maintained good morals along the way in the sense of never deliberately hurting friend, family member or others. As with all parents we have had our ups and downs in family life and suffered a few hard knocks on the journey. But nothing that most parents do not face. The two boys have their own independence of spirit with their own beliefs, politics and views that do not always correspond to that of mine(!). But this is as it should be- sons and daughters are not clones of their parents, and all of us are shaped by our own experiences. Photo 1 is of Dáire and Shane from August 2004- it was Dáire’s first day at primary school (Scoil San Phroinsias) and Shane’s first day in secondary school (St. Mary’s College). Photo 2 was taken a few months ago of the family (including the lovely Cepta!) at Dáire’s graduation in May. Finally, as a chapter in my own life closes, I have to take this opportunity to give a sincere thanks and appreciation to all those teachers in Scoil San Phroinsias, St. Mary’s College and the Jes who did so much for the boys. In all my years involved in school life going back to the age of five (and I myself qualified as a second level teacher) I have only rarely encountered a really bad teacher. They do indeed exist-a few taught me (& Cepta, Shane and Daire). But the vast majority of teachers represent the unsung heroes of Ireland. 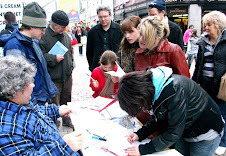 In order to do their job well, they have to take on so many diverse roles as they nurture generations of children into adulthood, serving as educationalists, sports coaches, musical instructors, career guidance officers, psychologists, social workers…. So a big ‘bualadh bos’ to the ‘múinteorí’!! 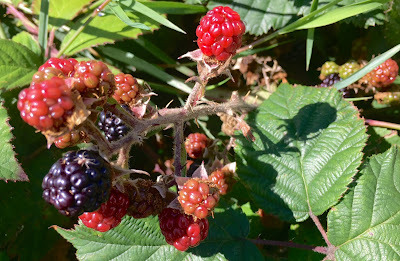 All across Ireland-along hedgerows, wasteland, roadside verges and woodlands (& Terryland Forest Park is no exception)-the lovely red and black fruits of the blackberry bush are starting to appear. 'Tis a sight to gladden the heart of many of my generation. 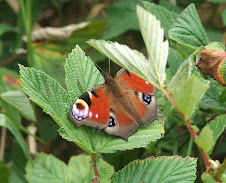 For very soon it will be time to go a-gathering the berries! I have many happy childhood memories of collecting fruits from these brambly bushes along ancient lanes and parklands. Covered in smudges of purple-black juices (couldn't resist eating a few!) and with the sores from thorns along my arms and legs, I would merrily return home to hand over to my gran a few baskets full of berries. She would take these delicate little fruits and magically transform them into a wonderful array of delicious foodstuffs- from crumbly apple & blackberry tarts to jams to desserts (with ice-cream!). The blackberry bush is also a dear friend of the bee. Its pink white flower is loved by pollinators and provides nectar from June until September. Celtic & Latino- What a lovely combination! After travels in Africa and continental Europe I returned to Ireland in order to be present at the wedding of Bianca Pereira and Emir Munoz, my very dear friends and work colleagues. It was a beautiful magical Celtic experience. Officiated by the druid Dara Ó Maoildhia(see photo) it took place in the grounds of Brigit's Garden, a wonderfully unique sanctuary in Connemara that pulsates with the essence of the natural world and of Celtic mythologies. The ancient Celts were so advanced in terms of their understanding of the Earth-they clearly saw the value and sacredness of all living things, and the deep connections that exist between humankind and the rest of Nature. In a time of destructive man-made climate change, this is something that modern science is only now clearly showing us- hopefully it is not too late for society to undo the harm that we have done to the planet particularly over the last 150 years. Bianca hails from Brazil and Emir Muñoz from Chile. A young charming warm couple, they are passionate about Ireland's heritage and landscapes. They have on their own and in the company of others walked for many years along the ‘boreens’, tracks and trails of rural Ireland. The story about how the spark of love between them was lit whilst climbing Croagh Patrick, the country's most sacred mountain, has now passed into legend amongst their work colleagues and friends. I am deeply impressed about how they, like many a visitor to our native shores over the last millennia, have become 'more Irish than the Irish themselves'. 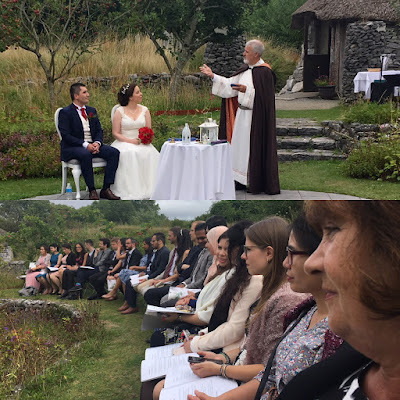 So I was indeed honoured that Bianca had asked me earlier this year to be her witness at the wedding and to introduce her character to all present. May they live a long, happy, prosperous life together and may they continue by their presence to make our country a better place.